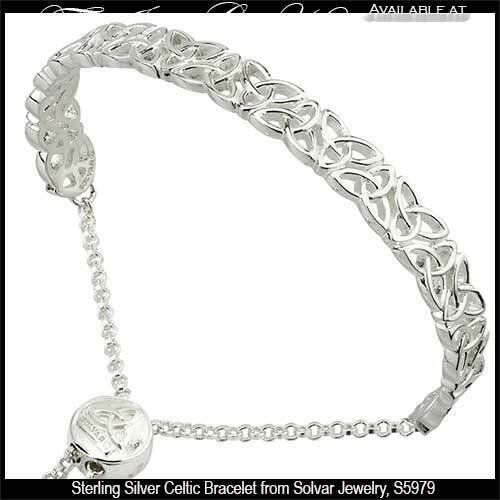 Browse our wide variety of Celtic bracelets that includes gold, sterling silver and plated designs. 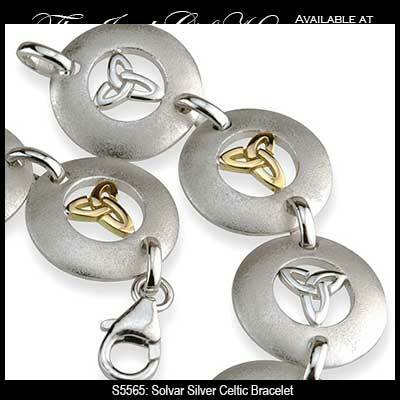 Some of the Celtic link bracelets feature the Trinity knot and others incorporate Connemara marble into the Celtic designs. 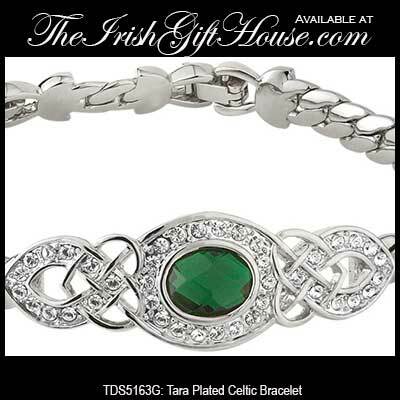 Many of the Celtic bracelets at The Irish Gift House are enhanced with stones that range from diamonds to crystals. 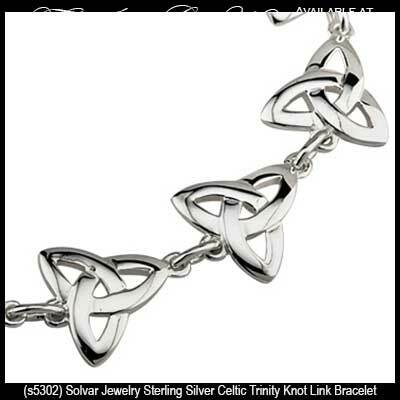 The typical Celtic bracelet is a link style, but we also offer several with beads and charms too. 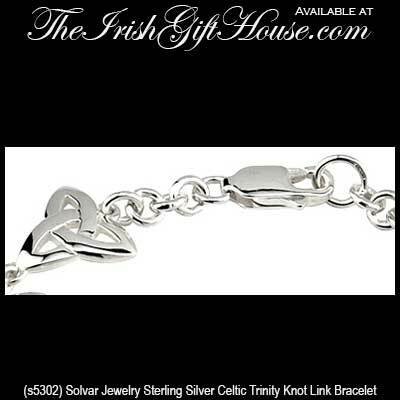 The assortment of decor on these Celtic bracelets ranges from traditional knots to contemporary interpretations of the ancient designs. 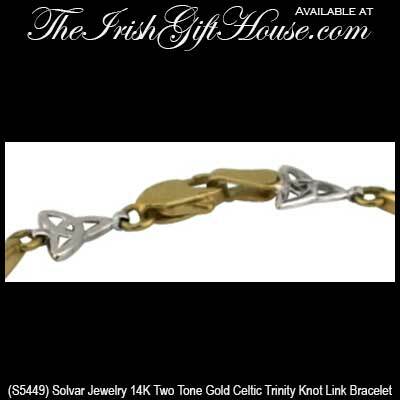 Rhodium plated Celtic bracelet has Trinity knots that are enhanced with a crystal surrounded green glass stone. 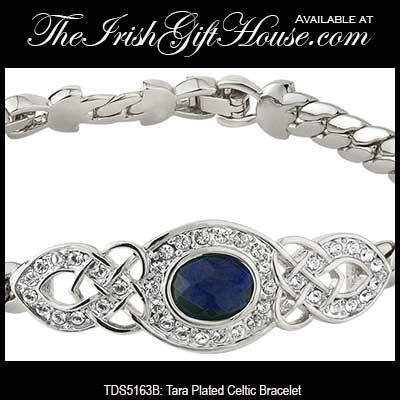 Rhodium plated Celtic bracelet with Trinity knots that are enhanced with a crystal surrounded blue glass stone. 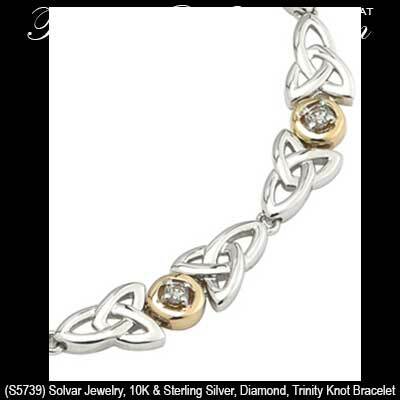 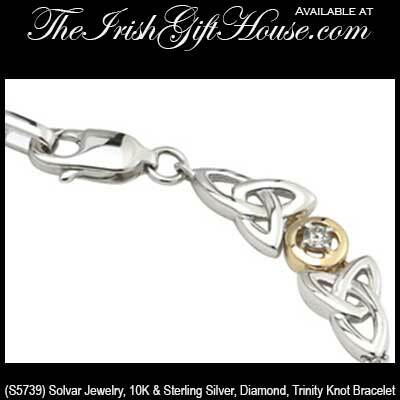 This sterling silver Celtic bracelet features Trinity knots along with a draw chain cinch. 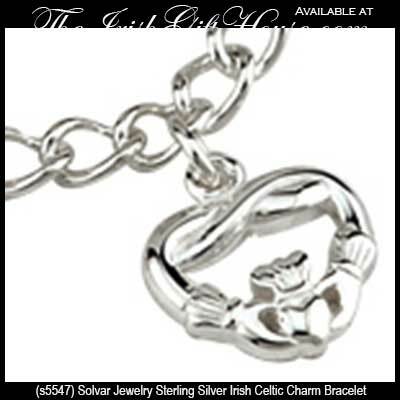 This sterling silver Irish bracelet features the Trinity knot and Claddagh charms along with the shamrock and Celtic cross. 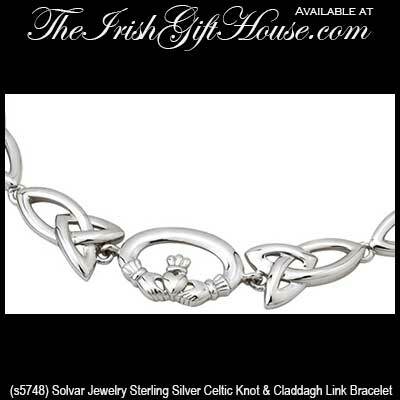 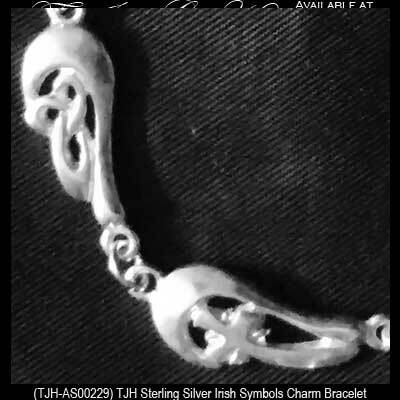 This sterling silver Irish bracelet has both Claddagh and Celtic knot links. 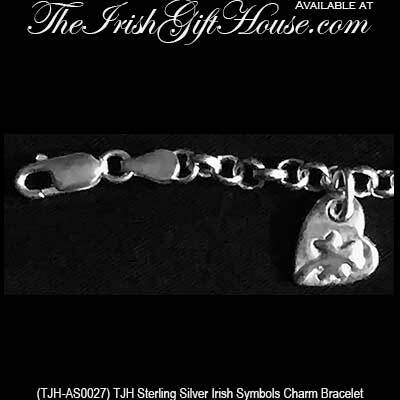 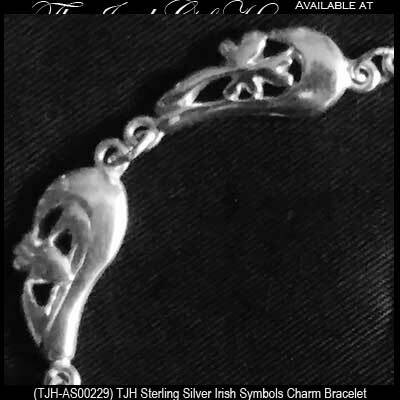 This sterling silver Irish symbols bracelet features seven Celtic links that includes the shamrock and Claddagh. 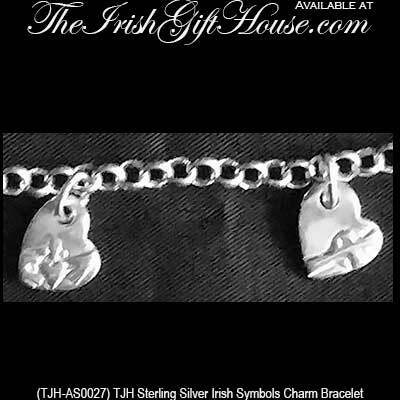 This sterling silver Irish charm bracelet features heart shape charms that include the shamrock and Celtic knot along with the Claddagh. 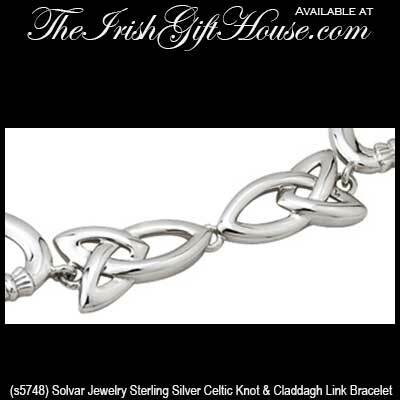 This sterling silver Celtic bracelet features two differently sized knot-work links. 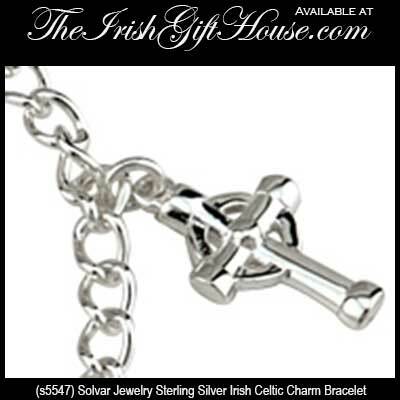 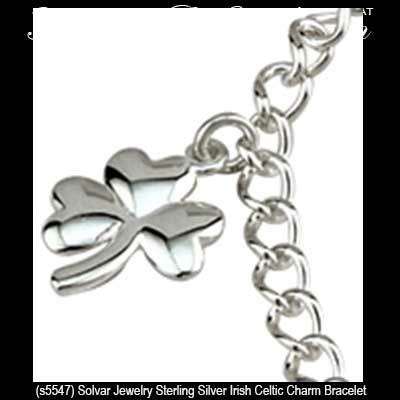 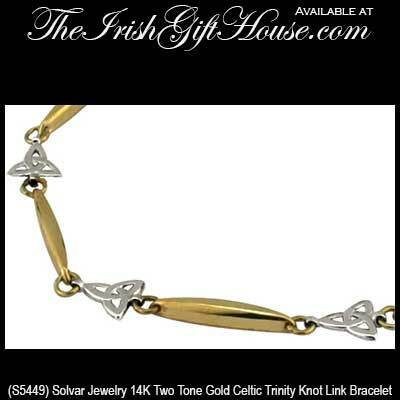 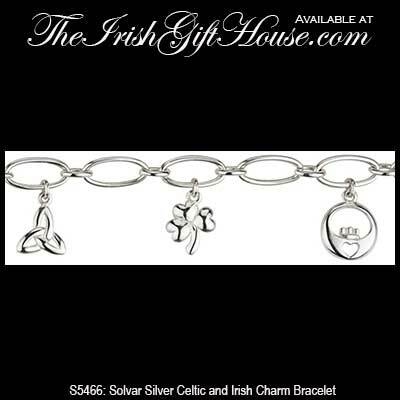 The Irish Gift House offers this collection of Celtic bracelets that are made in Ireland by Solvar, TJH and Tara. 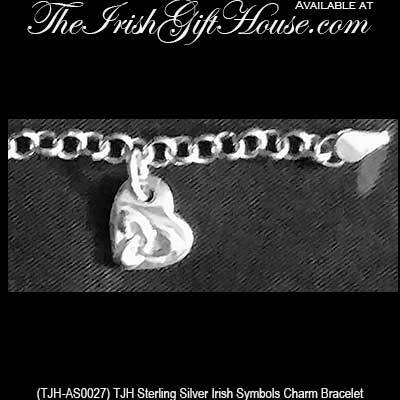 Throughout our site you will find additional selections from these Irish jewelers in the form of Claddagh bracelets and shamrock bracelets. 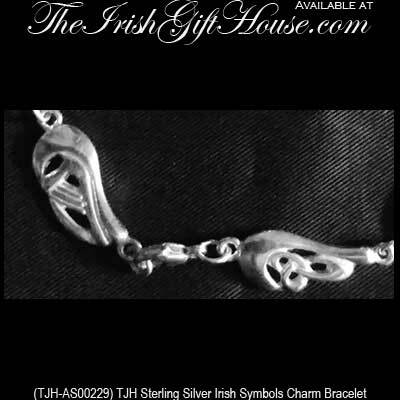 We even have larger burley designs on our men's Irish bracelet page and wee sizes on our Irish baby jewelry pages. 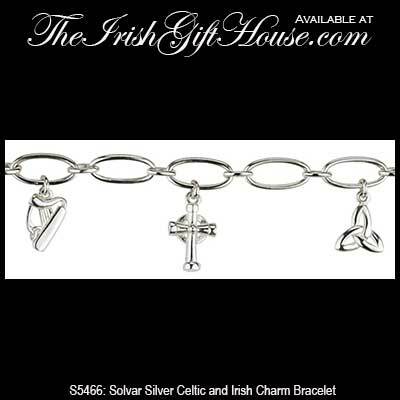 As an added windfall, from All That Glisters, our Irish jeweler in Kilkenny, we have a super selection of Connemara marble bracelets and Kilkenny marble bracelets. 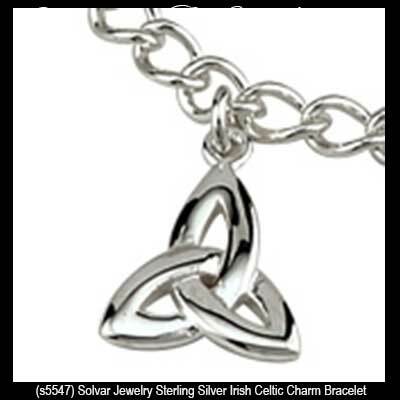 You may wish to complement your selection with a harmonizing silver Celtic necklace or a matching pair of silver Celtic earrings. 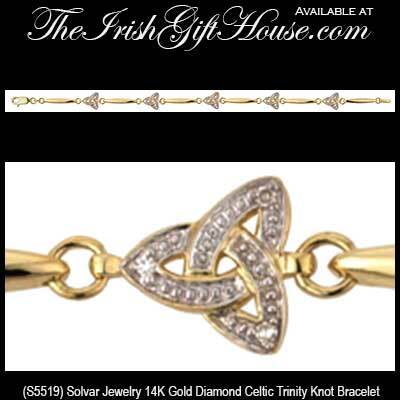 Complete your ensemble with a Celtic brooch; they are often overlooked, but once worn it may prove to be the most versatile piece of jewelry in your collection. 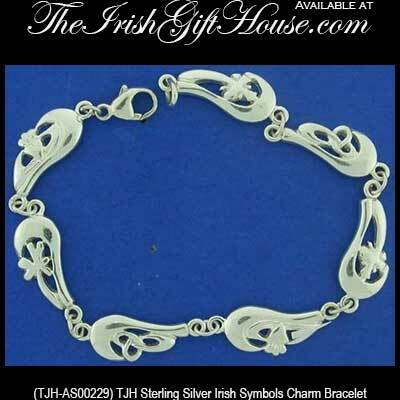 We would be remiss if we didn't point out that you may also find additional Celtic bracelets in the Newgrange jewelry section and the Tree of Life section; additionally, some of our most interesting bracelets are found in the History of Ireland jewelry category were we have representations in gold and in silver.